Member of the Charlottesville African-American Summit Group. Project Director of Teensight (Here Alicia Lugo is shown at Starr Hll cleaning up the neighborhood. 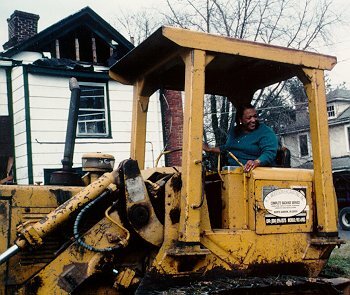 Picture of Alicia posing on the bull dozer taken on December 19, 1997 in Charlottesville, Virginia).